Are you looking to integrate a Mailgun account with Outbound Automation by boberdoo? You’ve come to the right place. Follow the steps below to properly configure and integrate your Mailgun account with Outbound Automation. If you already have a Mailgun account, skip to step 2. If you’d like to set up a new Mailgun account, click the link above and enter your information. 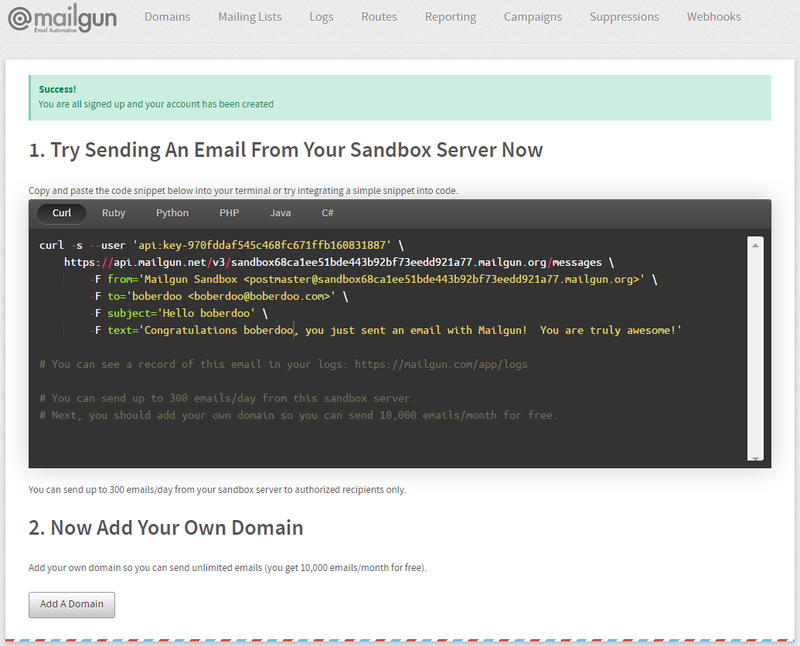 Mailgun allows you to send 10,000 emails for free every month, however they require you to keep a credit card on file. Once you exceed the 10,000 email monthly limit, you will be charged at their standard pricing. In order to send any marketing emails, you need to add and verify a sending domain. Click the Add A Domain button. Mailgun recommends adding a sub-domain rather than your base domain. For example: mg.mydomain.com. This will still allow you to send from your base domain (myemail@mydomain.com rather than myemail@mg.mydomain.com), but gives you the flexibility to use multiple sub-domains and segment your sending reputation. Once you have added your sending domain, you will be taken to Mailgun’s 4-part verification page. Follow their instructions, adding all 5 required records. Click Continue. Mailgun will attempt to verify your domain by checking the DNS records you just added. If your domain is still listed as Unverified, wait several hours and click the Check DNS Records Now button. Some DNS providers take up to 24 hours to propagate the changes. If you retry and your domain is still Unverified, reference Mailgun’s domain verification page and check your setup. Once you have added and verified your sending domain, return to the domains tab and select your domain. Scroll down and locate the Tracking Settings. 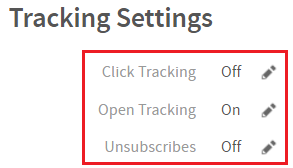 Confirm that your Click Tracking is OFF, your Open Tracking is ON and your Unsubscribes are OFF. Repeat this step for all 7 event options. Once completed, your Webhooks page should look exactly like the image below. 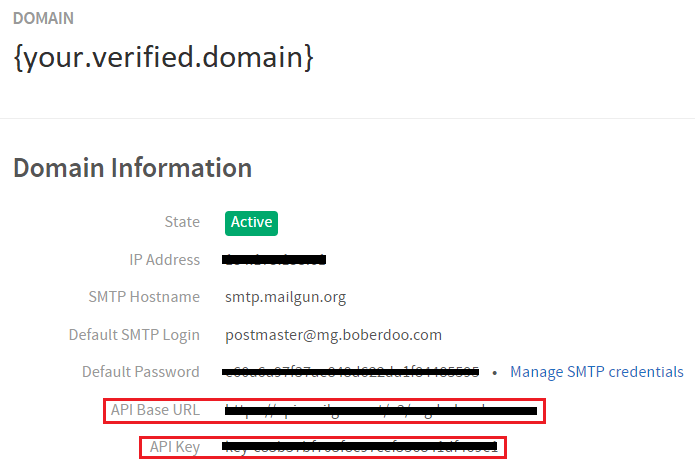 Next you need to copy your Mailgun account’s API Base URL and API Key. From the top navigation bar, click Domains. Next, click your verified domain. Copy the API Base URL and the API Key. Next, head to Outbound Automation in your boberdoo system, and click on the Setup tab. From here, locate the Email Service Providers box and click the green Add New ESP button. 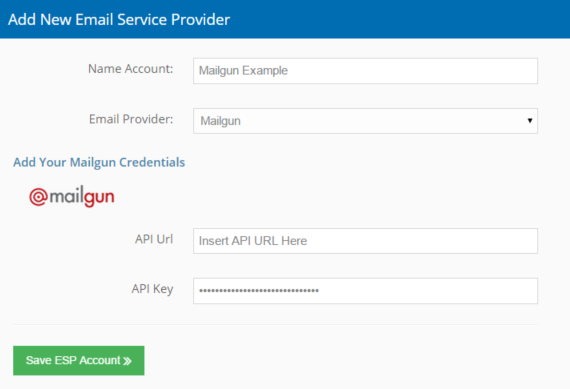 Select Mailgun from the Email Provider dropdown and choose a name for your ESP. This name will be used for internal reference and organization only. Finally copy your API Base URL and API Key into the respective boxes. Click Save ESP Account and you’re all set!